"...kept me reading late into the night. PETER'S CHRISTMAS will please Nightstalker fans any day of the year." -Fresh Fiction-a Night Stalkers White House romance-NAME: Kim-Ly Geneviève BeauchampJOB: UNESCO World Heritage Chief of Unit for Southeast AsiaMISSION: To protect a Cambodian templeNAME: Peter MatthewsJOB: President of the United States of AmericaMISSION: Stability in Southeast AsiaThey met at the United Nations, two people from different worlds.Peter Matthews, D.C. born and bred. 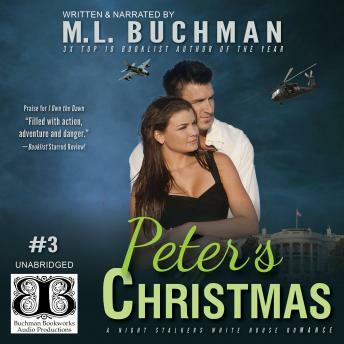 Since the tragic death of his wife two years before, he ranks as the most eligible bachelor on the planet.Genny Beauchamp, a French-Vietnamese beauty, with an intelligence that dazzles Peter.Little do they know that both their hearts and their very lives will be at risk this Christmas season.